Realism has been the dominant approach in International relations theory for the past two millennia. The term 'Realism' or 'Political realism ' includes a wide variety of theories and mode of thought about International Relations Though realism became a discipline in International relations during and after world war ll , It is the product of a long historical and philosophical tradition. 5. Thomas Hobbes an English philosopher who wrote Leviathan. (iv) The main issue of the state is security, ie., state' s need to protect itself from enemies-- both foreign and domestic. ● Similarly, Machivalelli wrote that the sole aim of a Prince ( politician ) was to seek power, regardless of religious or ethical considerations. ● Hobbes maintained that just as individuals in the state of nature have the responsibility and the right to preserve themselves, so too does each state in the international system. According to Hobbes that states are in the condition of International anarchy where the every state having their own weapon and they pointing his eyes on another state. ● After world war ll, International Relations theorists Hans Morgenthau's textbook Politics among Nations became a bible on realism for the years following world war ll. ● Kennan was one of the architects of the U.S Cold War policy of containment which was an interpretation of balance of powers . Containment was achieved by balancing U.S Power against Soviet power. 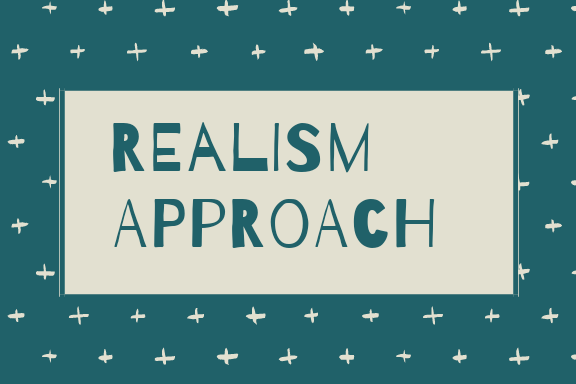 Realism is not a single idea; it is worldview based on several integrated assumptions. There are many schools of realism but all typically share some basic assumptions. 1. It assumes that the International system is Anarchic. There is no authority above the states capable of regulating their interactions. States must arrive at relations with other states on their own, rather than being dicated by some higher controlling entity. In other words, no true authoritative world governments exists. 2. Sovereign states are the principal actors in the International system. International institutions, non-governmental organizations, multinational corporations and other sub-states or trans- state actors are viewed as having little independent influence. 3. States are rational unitary actors each moving towards their own national interest. There is general distrust of long term cooperation or alliance. 4. The " National Interest" of the each state is its own security and survival. In pursuit of national security, states strive to amass as much resources as possible. 5. Relations between States are determined by their Comparative level of powers derived primarily from their millitary and Economic capabilities. Millitary capabilities must be at least sufficient to deter attack, and strategic planning should be along lines of worst- case scenario. ●Further , they belive that states are inherently Aggressive ( offensive realism ) and obsessed with security ( defensive realism ); and that territorial expansion is only constrained by opposing power(S) . This Aggressive build, however , leads to a Security dillemma where increasing one's own security can bring along greater instability as the opponents build up its own armies. Thus, security is a Zero- sum game where only relative gains can be made.